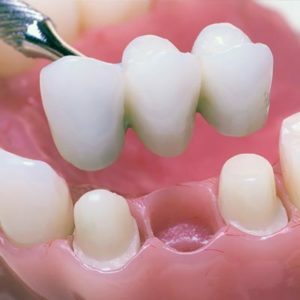 Not only does a bridge restore function and esthetics, but it also prevents the surrounding teeth from drifting out of position and fill spaces that would otherwise leave surrounding teeth susceptible to tooth decay. This makes a dental bridge an excellent treatment option. The best potential candidate for a dental bridge is a person with one or more missing teeth and good dental hygiene. Special attention to hygiene at home will need to be taken, especially flossing under the bridge. Furthermore, dental visits, including professional cleanings, should completed every six months. Call Us at (403) 261-8855 to book your Dental Bridge consultation appointment today!